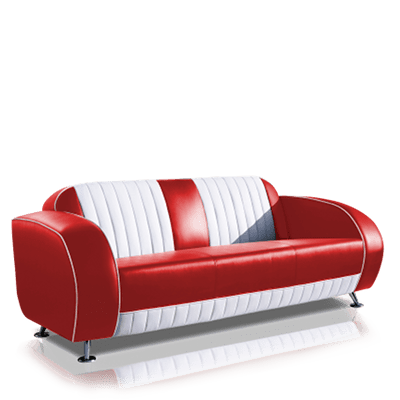 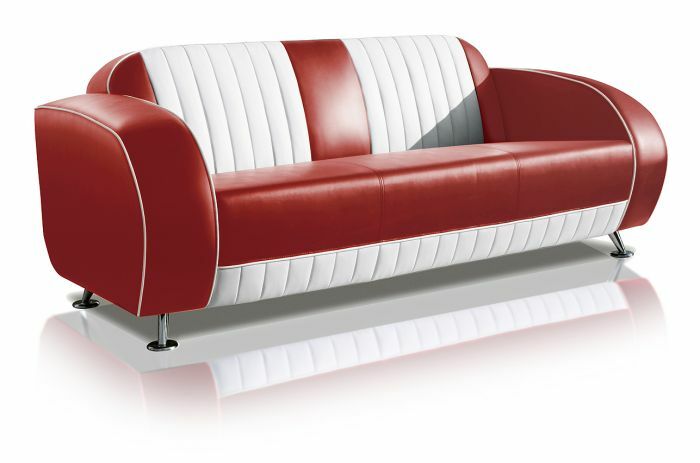 The straight white lines, the chrome feet, the bright colors, in everything this sofa breathes the retro look and perfectly complements a fifties decor. You can create an inviting sitting area where your guests will want to spend hours by combining our comfortable chairs with the SF-02CB G63. An inviting sitting area where your guests will want to spend hours.